O say can you sneak a peek of the vice president of the United States? If you're in Baltimore, the answer could be yes. 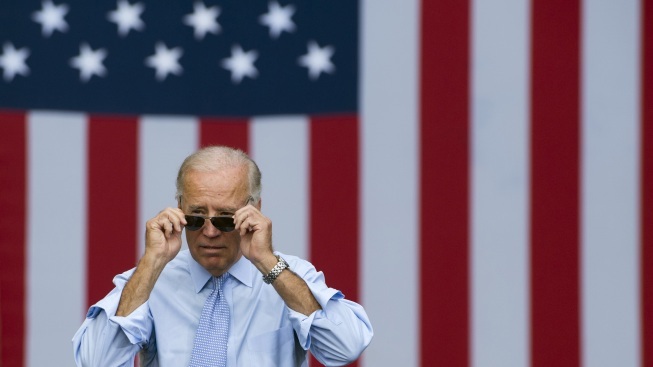 Vice President Joe Biden will join Gov. Martin O'Malley at Fort McHenry on Saturday as part of a weeklong celebration of the Star-Spangled Banner's 200th birthday. Fort McHenry endured a 25-hour bombardment from the British in September of 1814, during the Battle of Baltimore. It was after that bombing that Baltimore-area attorney Francis Scott Key penned a poem that would eventually be put to music, and become our nation's national anthem. Jordin Sparks, the Morgan State Choir, the Fort McHenry Guard Fife and Drum Corps and the Pipes and Drums of the Royal Scots Dragoon Guard will perform at the fort.